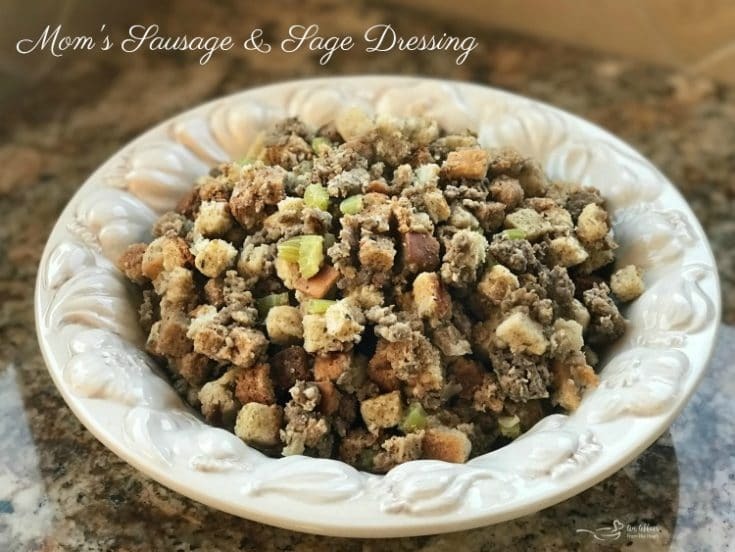 My Mom’s Sausage & Sage Dressing is the only one we have ever had on Thanksgiving. It’s my Grandma’s stuffing recipe and our family’s favorite Thanksgiving recipe! My Grandma Czaplewski always had Thanksgiving dinner. When she passed away, a month after I gave birth to my first son, Spencer, we moved it to my Mom’s, but the dinner stayed EXACTLY the same. I am a creature of habit. It is a dinner that I look forward to every year, and I want it EXACTLY the same!! Speaking of pictures, in this day and age, we take pictures of EVERYTHING! I guess it’s because, at the very least all (or most all) of us have a camera phone at our ready disposal. 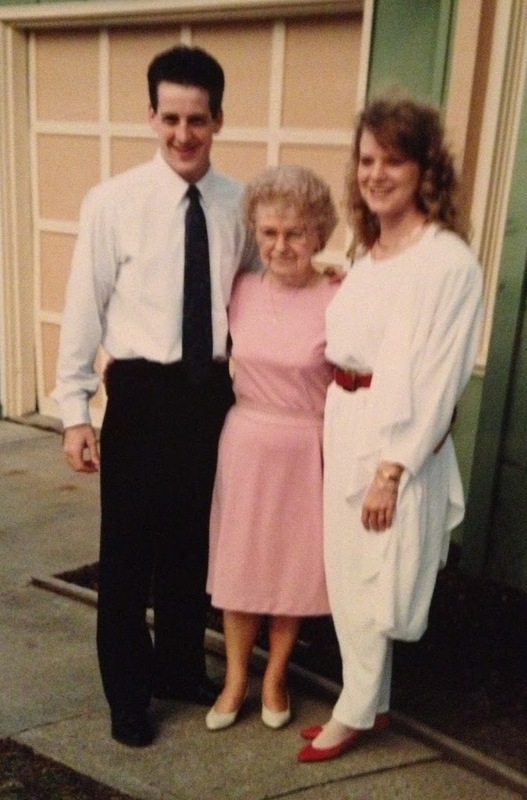 I had to search to find a picture to share with you of my grandma and me to post on this entry! 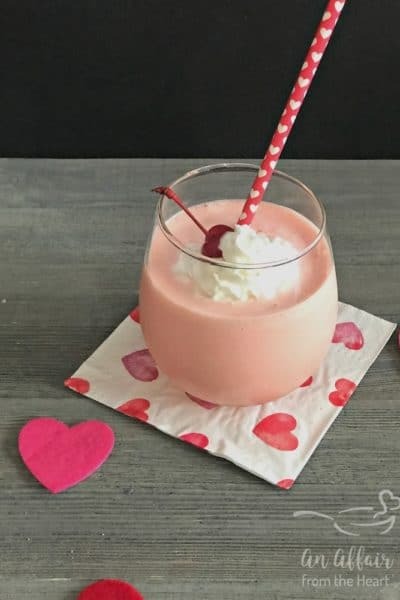 My favorite thing (next to the way it tastes!) about this recipe, is that it’s one of the few recipes that I have that is in my Grandma’s handwriting. As a scrapbooker, a person realizes the importance of handwriting. It can’t be duplicated, just like the person doing the writing cannot. I spoke with my Mom last night, and shared the recipe that my Grandma wrote down for me some 25 years ago. 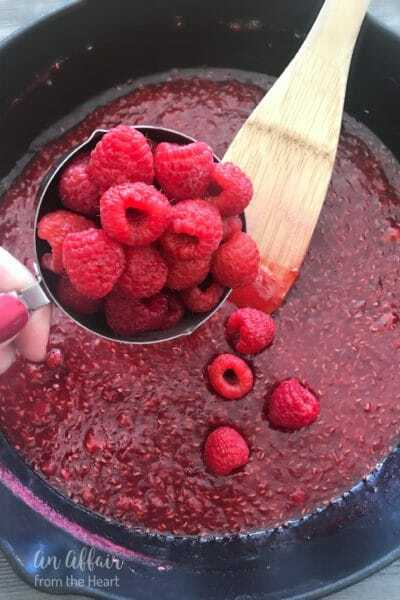 She has made some variations to the recipe, but strangely, it tastes the same to me? 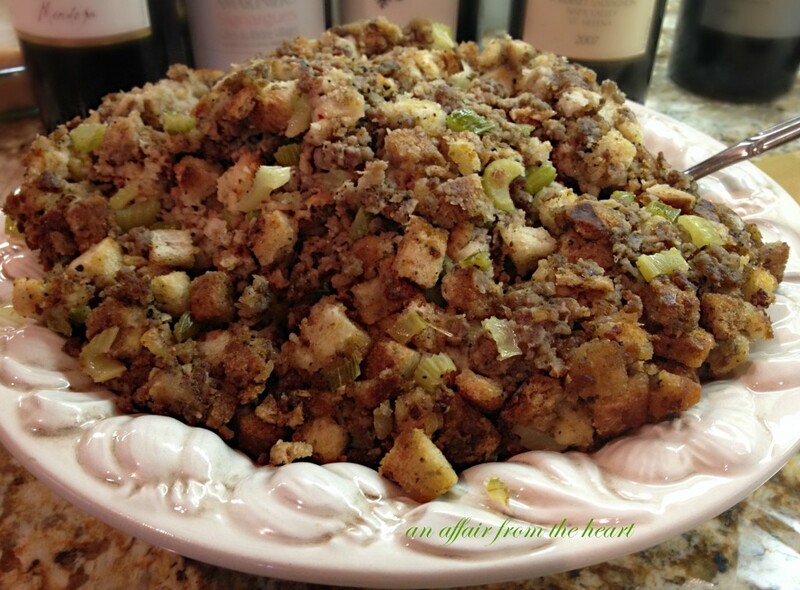 My mom makes extra stuffing, because we would all cry if there were no left overs!! So, these days, she buys a turkey that is somewhere between 20-22 pounds. She prepares the dressing, and stuffs as much of it inside the turkey as it can hold. The remaining goes onto a heavy duty foil pouch and bakes along with the turkey. Yay for extra dressing! At what temperature and for how long do I cook a stuffed turkey vs. an unstuffed turkey? 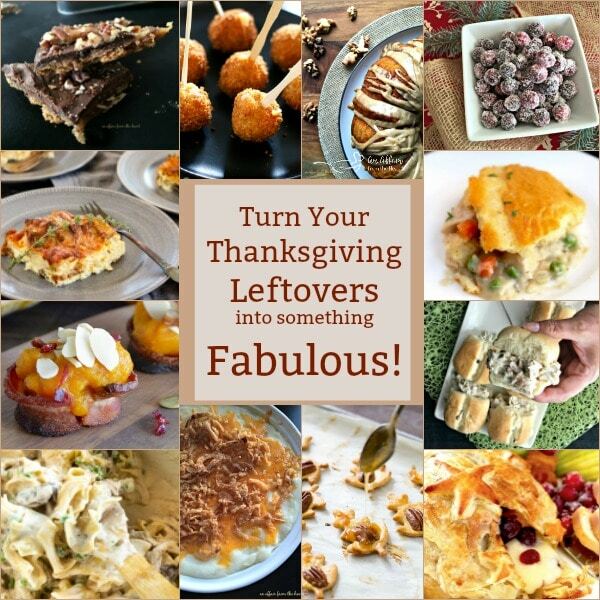 Turn Your THANKSGIVING LEFTOVERS into something FABULOUS – TONS of RECIPES to re-purpose Leftovers – click the photo for all of the recipes! 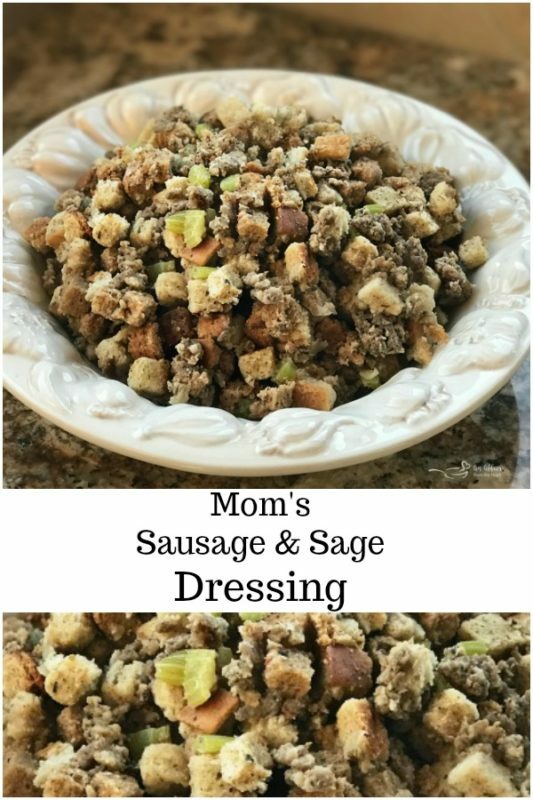 What do I need to make Mom’s Sausage & Sage Dressing? I know. I keep switching the name. “Dressing” and “Stuffing” – everyone uses them differently. Typically “Stuffing” goes in the bird, and “dressing” is cooked outside of the bird. 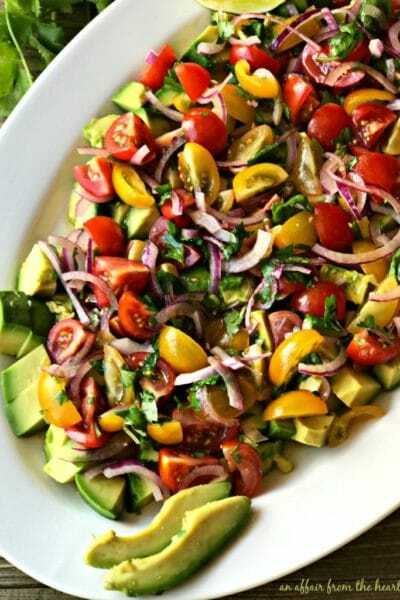 In our family there was no rhyme or reason to that, as we always called it dressing, because that’s what my Grandma called it. Call it whatever you want, just make it! I promise you will LOVE it! 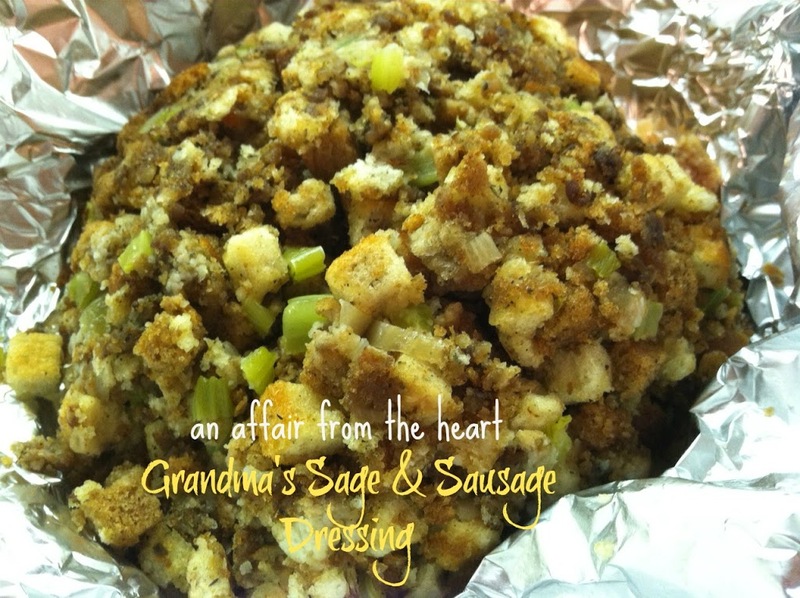 My Mom's Sausage & Sage Dressing is the only one we have ever had on Thanksgiving. It's my Grandma's recipe, and this stuffing is the main reason our family loves the Thanksgiving meal. Place giblets, 1 cup celery and 1 onion in a saucepan, pour half broth, half water just to cover. Simmer on low for approximately one hour, or until giblets are tender. Remove from heat. Brown sausage with sage until cooked. Set aside. Chop turkey giblets until minced well. *Reserve liquid to use when you are making your gravy. Combine giblets, sausage, celery, onion, parsley with your bread crumbs. 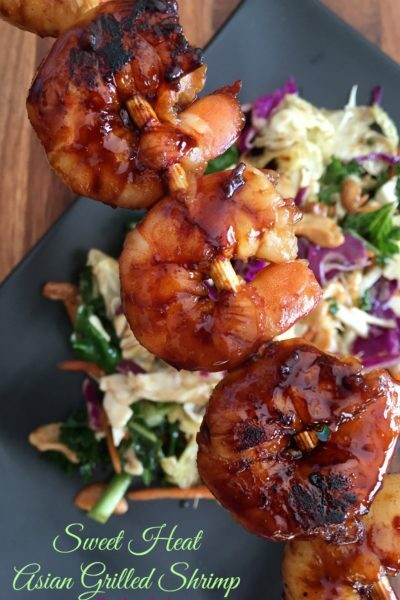 Working with your hands, add melted butter and small amounts of broth until dressing is moist, and forms into a ball. Stuff your turkey full. (we typically make a 20 pound bird) Wrap remaining stuffing in heavy duty foil. Bake turkey according to package instructions for a stuffed bird. To bake the foil package, place in oven with turkey about 45 minutes before turkey is done. When turkey is cooked, remove stuffing. We TOTALLY do!! I am such a sentimental girl, and a CREATURE OF HABIT!! 🙂 Look forward to sharing LOTS more with you!! This is very similar to my Moms and now mine! I use eggs ( fork whipped) to moisten before stuffing! Hmmm made me hungry for turkey day! My favorite thing? 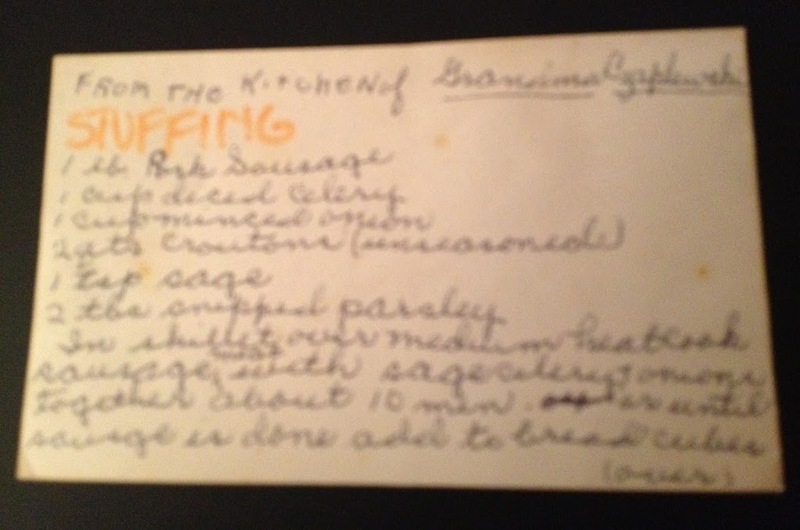 Your grandmother’s recipe card in her handwriting!!!! Love the story behind the dressing! 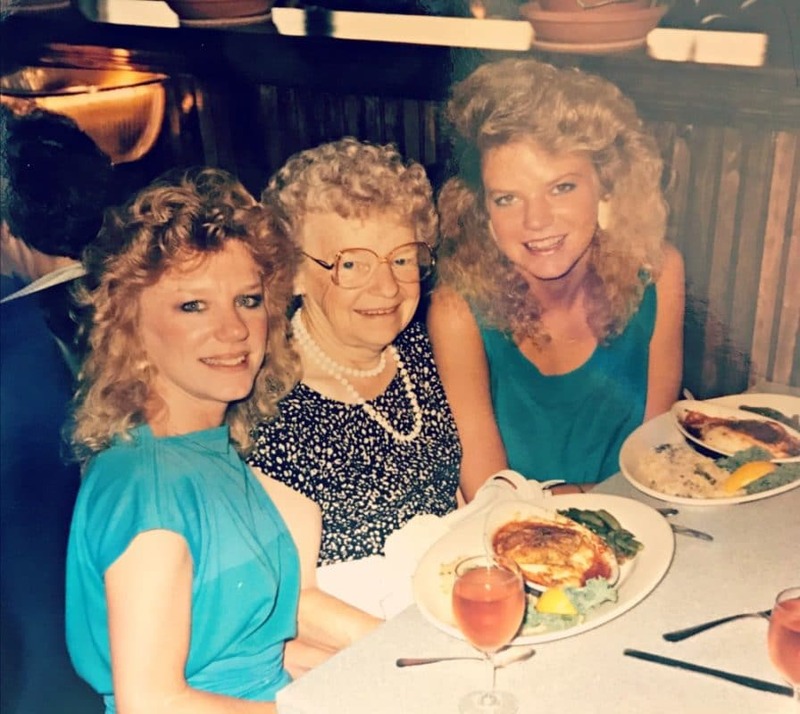 When I think of my grandmother, Emma, it is all mixed up with smells: stuffing, turkey, sage, mincemeat…all cooking in the kitchen and the lovely sound of her voice. It doesn’t get any better than Thanksgiving and the wonderful memories that go along with the holiday! 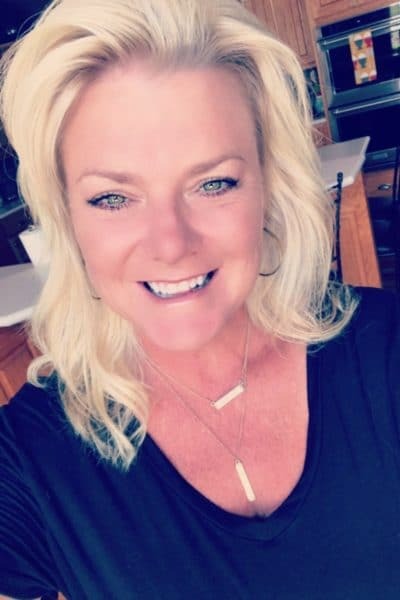 Laurie, Thank you kindly for sharing some of your memories with me. Isn’t it amazing how the sounds and smells stay with us, and can get those memories flooding back? Happy Thanksgiving! I agree with you about being a creature of habit…especially for the holidays. 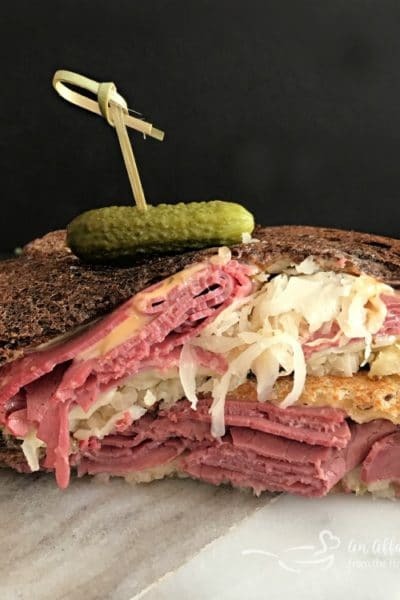 In food, we have memories, and what better memories than during the holidays?